One of the most attractive and what make Snapchat famous is the “Filters” feature. 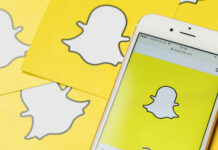 Snapchat started to gain popularity due to the unique feature of filter effect. Most girls found Snapchat Filters interesting and started posting photos of theirs with Dog’s filters, Cat filters, etc. Mostly, who are new to Snapchat are not aware of how to use Snapchat Filters. 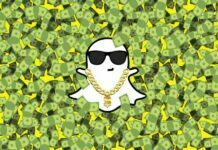 So, this guide will help you with the usage of Snapchat Filters. Then Swipe down on the camera screen. It will open your profile. Tap Settings icon on the top right side of the app. To add Snapchat Filters on photos you have to follow the following procedure. Go back to profile page. Swipe up to open the camera. Tap and hold on the screen continuously until a filter icon on right side appears. Now, a range of filters will appear, you may select any interesting Snapchat Filter you want. Click on Camera icon, it will take your picture with the filter effect you want. Tap on send button to send your Snap to the your profile. To add Snapchat Filters on videos method is same as you do while taking photos. But interesting part is it also adds voice changer on the use of specific filters, like dog filter, cat filter, etc. Click and hold on Camera icon, it will record your video upto 10 seconds with the filter effect you want. Tap on send button to send your Snap to the your profile and share your filtered Snapchat online. Then tap and hold down on the screen and then swiping with other finger will add another Snapchat Filter. 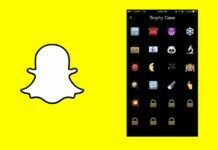 I hope this guide will help you to add Snapchat Filters on your video and snaps. You can make yourself different from who exactly you are, this is the charm of Snapchat app!